Summary: Mechatronics involves not one or two but several branches of engineering. Building a project that features these many branches will definitely enhance your knowledge in all of them. But many students fail to develop skills on mechatronics, due to affordability reasons. If you’re an engineering student, you already know the importance of building great mini projects. Not only does building projects make you experienced, the thrill you get while building amazing projects by yourself is incomparable. Being an aspiring engineer, you want to build projects on innovative technologies, right? And these innovative technologies might vary from IoT, Robotics, Automation, Wireless, Mechatronics etc. In this article we will discuss about one such innovative technology – Mechatronics. From what is mechatronics, good mechatronics project topics to how to get started on mechatronics, we got everything included in this article. So, if you're interested in building good mini projects based on mechatronics technology, hop in. We have researched thoroughly and mentioned the low cost mechatronics projects, which are super fun to do. Here, we will talk all about best mechatronics mini projects that you can do at the comfort of your own home. And if you’re worried about the cost of building these projects, don’t be. We’ve got you covered. We will also provide some really useful tips that will help you reduce the cost of your mini project without compromising with the quality and innovativeness. In simple words, it is a branch of engineering that combines mechanical and electrical engineering. It is a multidisciplinary branch that focuses on the engineering of both electrical and mechanical systems. It even includes robotics, electronics, computer science and various other branches of engineering. It blends mechanical skills with electronic design. The term mechatronics was coined by senior engineer Tetsura Mori in the year 1969. After the 1980s, the term started gaining popularity because of its useful features. Earlier, this technology was based on some electrical and electronic computers only, but after the 1980s, the use of computer technology was integrated which marked the better and easier use of this rather recent technology. What are some of the applications Mechatronics? 1. It enhances functionality and features. Looking at machine design from the functional rather than hardware capability has a specific benefit: better machine efficiency. The efficiency comes from blended functionality of the subsystems combined with system sizing. System sizing has the advantage of multiple components designed to work together in maximum efficiency with a predefined operation data. No component oversizing for the "safety margin," and no more partial utilization of components is needed. These pre-engineered mechatronics subsystems are already simplified and designed for an optimum application. Mechatronics-based designs, using pre-integrated systems, add engineering productivity. And most OEMs (Original Equipment Manufacturers) face only 25%-30% of the cost of the machine on engineering while working with mechatronics. Such products that reduce engineering costs, help OEMs bring machines to market faster thereby breaking the risks associated with a common three-year design cycle. The Qualitative Phase: It proposes to analyze the functional and dysfunctional behavior of the system and then determine its different failure modes. Also degradation status is, based on external and internal functional analysis. The Quantitative Phase: It is used to calculate the reliability of the system and its components, based on the qualitative behaviour patterns, and considering the gathered data. Why build mini projects on Mechatronics? With every passing minute, the technology all around us is advancing. Everything is getting more efficient and intelligent and Mechatronics plays a huge role in it. 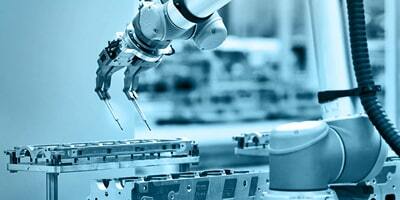 Mechatronics brings out more functionality to systems and increases reliability. That is one of the most important reasons why you should learn about Mechatronics and its applications. As we already know, Mechatronics involves not one or two but several branches of engineering. Building a project that features these many branches will definitely enhance your knowledge in all of them. If you’re pursuing a degree in Mechanical engineering or Electronics/ Electrical engineering, why limit your knowledge to just that particular field? Explore Mechatronics, learn more. The scope of Mechatronics is very high and it is only going to increase in the future. Opportunities include Purchase and Procurement, Port handling, Ship and Vessel management, Robotic classification, Real Estate Architecture Design and Construction, Core manufacturing with Automated surveillance, Automobiles designing, Tender Management, Supply Chain Management, etc. How can you reduce the cost of building a Mechatronics project? Have a clear idea about your project: Before jumping into making your mechatronics project, you should have a clear idea on exactly what you're building. Do thorough research before starting to build the project. This will save you from unwanted complications later. Get proper guidance: The key factor in building a cost-effective mini project is getting the right tutorial or manual guidance. This helps you save a lot of money, especially if you are new to this field. It stops you from making errors like short circuiting the boards or damaging the modules, thereby reducing the cost significantly. Understanding the importance of this, we at Skyfi Labs provide good course content to our students so that they don’t end up damaging the components. And also our engineers dedicate their time to help students 1 to 1 to make them complete on time. Build your project with a team: This is especially important if you’re new to the field. Apart from all the conventional benefits that you gain by building your mini project as a team, you will also get the flexibility to share the project cost between all. And let’s be honest, it’s definitely more fun with friends. Buying affordable hardware components: The price of the hardware used in your project may vary from shop to shop. It is crucial to find the right store that is not only cost effective but also delivers quality products. Initially, you can search online regarding the price of the components than going physically to shops to avoid any discrepancies. Always resort to reliable firms who has a strong command on this domain. For instance, the kits sent from Skyfi Labs are well tested and approved for quality project building. Buying such kits will not only help you save money, but also help you to build projects without losing time. Imagine how impressed your interviewers would be when they learn that you have built a humanoid robot before! Humanoid robots are the future. And if you want a career based on mechatronics, learning the basics of robotics is colossally important. Working on this project you will learn more about Arduino architecture & its programming. You will also be introduced to the working of servo motors that act as actuators & the programming logic behind the human's walking action. Here at Skyfi labs, we can provide you with the best online project-based course where you can learn how to build a Biped Walking Robot that can replicate our walking motion and work autonomously. Robotics currently is being implemented in all the industries, and why wouldn't it be? Robots and machines can carry out tasks with so much more efficiently than humans can ever think of achieving. While building this project, you will enhance your knowledge on Arduino architecture and learn more about the structure of Arduino programming. You will also learn about the Bluetooth communication and servo motors working, and learn how to control your servo motor using Arduino. If you’re interested in industrial robotics this project is apt for you. Here at Skyfi labs, we can provide you with the best online course using which you can build a robotic arm that will have 3 degrees of freedom and you can control the arm by using your mobile phone. Animatronics is currently taking the world by a storm with its various applications. Animatronic based robots made to imitate human and animal activities are widely used in industries and practiced in moviemaking to create imaginary life-like creatures. Animatronics technology makes it possible to replicate a living being's action and facial expressions. In this project you will be introduced to Animatronics and its various real time applications, development and control techniques involved in designing Animatronic structures. You will be exposed to flex sensors, microcontroller programming, servo motors and learn how to design, fabricate, assemble and control your own robotic hand. You will also increase your knowledge on Arduino programming and its concepts. If you’re interested in real-time mechatronics, this particular project is made just for you! A hexapod robot is a mechanical robot that walks on six legs and is the most famous one in the legged robots’ category. It is one of the most stable robots, definitely more stable than a two-legged robot. Due to this capability of walking on various terrains, Hexapod finds its application across diverse technological fields. Here, you will be introduced to servo motors, embedded systems & microcontrollers. You will learn how to design and fabricate multi terrain walking robots. and gain experience of working with servo motors, embedded systems & microcontroller programming. If you are interested in learning multi-terrain robots’ technology, then this hexapod project is your gateway into it. You must have already learned about the benefits of using a solar panel. They help in conserving huge amounts of energy and hence, help us lead a more sustainable lifestyle. A solar tracker, however, is a lot more efficient as it produces up to 40% more energy as compared to solar panels. Imagine how much more energy can be saved by implementing these. A solar tracker automatically orients in the direction of high-intensity sunlight to effectively harness maximum solar power. Here at Skyfi labs, we are providing you with a great online project course where you can build your very own automatic solar tracker using a solar panel, light-dependent resistor (LDR) and DC Motors based on Arduino platform. Voice Recognition or Speech Recognition is the ability of a machine to identify words from a spoken language. This is becoming a very important topic as we see applications like Siri (iPhone), Google Assistant and Amazon Echo becoming a part of our lives. Here at Skyfi Labs, we can provide you with the best online project course on Voice controlled robot. In this course, you will be taught how to build a Voice Controlled Robot that can be controlled through voice commands. You will also build an Android App which will understand your voice commands and control the Robot to perform specific tasks via Bluetooth. An automated vacuum cleaner is a robotic system that allows for automatic cleaning of an area or room by covering the area using border analysis. The system uses ultrasonic sensors for boundary sensing and operates accordingly. It has a vacuum suction cleaner attached to its back for dust suction. It also displays the time utilized for complete cleaning session and displays it on LCD display post the cleaning process. The system uses a microcontroller based circuit system. Irrigation systems require large piping setups along with many sprinklers in order to achieve proper irrigation. This is a very tedious task as it requires a lot of time, effort and energy. However, this irrigation robot has a single sprinkler that moves through the field with a water tank that moves throughout the field spraying water all over it. This reduces the ailments of farmers by a great deal and also provides more efficient work. Cleaning blackboards or whiteboards is undoubtedly very time-consuming. This system proposes an automated blackboard, whiteboard cleaning mechanism that cleans entire board automatically with just a click. It uses a set of frames, brackets, supporting rods, dusters, motor, rollers, and driving circuitry in order to achieve this mechanism. Imagine the time one can save by using this! We are all familiar with the importance of conserving energy. If you’re a nature enthusiast as well, this project is perfect for you. This system involves a windmill which rotates when there is enough wind and, generates electricity owing to magnetic coupling between the rotating and stationary coil. It is based on Atmega328 microcontroller which smartly senses and charges the battery attached to it and also displays the voltage on the LCD. Hope you got some good information on mechatronics mini projects from this article. Good luck for your mini project!